Hello there, today starts the countdown for the Clearly Besotted June 2018 release. The DT and guests are teasing you for the next four days, with the release being on the 1st June 2018 at 8pm BST. 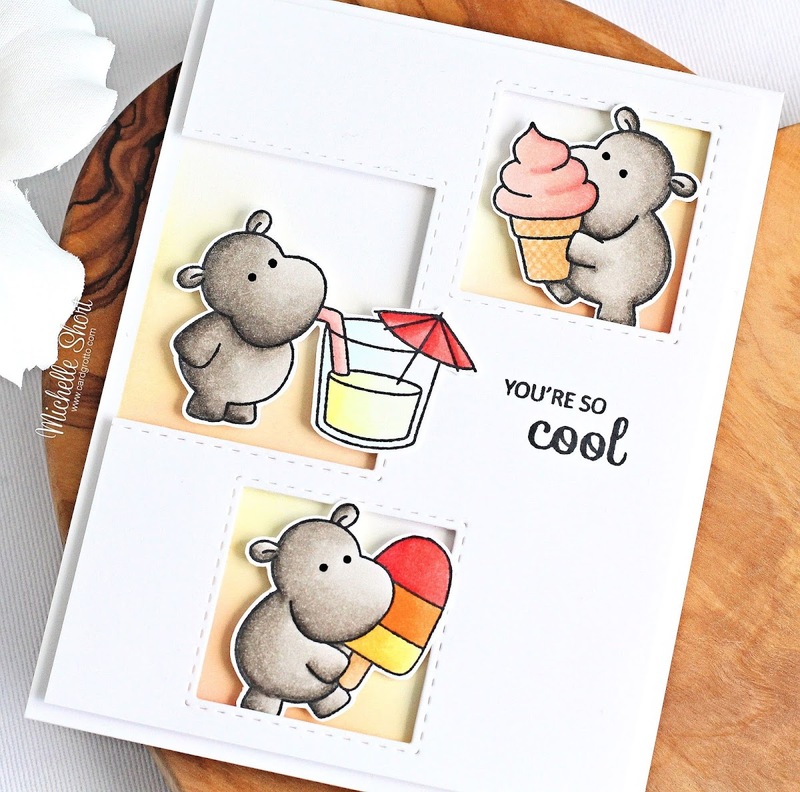 My card today uses the super cute Cooling off stamp set. I started off by stamping the three super cute hippos from the set on to white cardstock with Memento Tuxedo Black Ink. 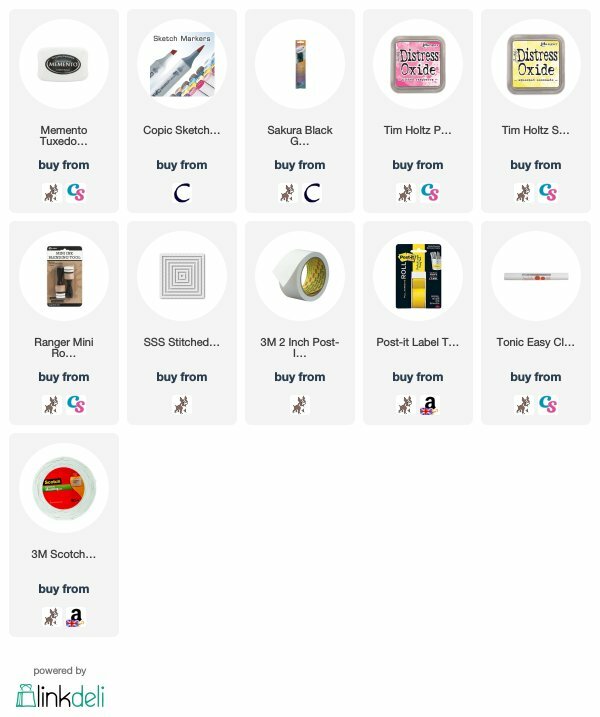 I coloured them with Copic Markers (the colours used are listed below the supplies section) and then fussy cut out with scissors (there will be coordinating dies available). These were then set aside for me to work on the card base. I took a panel of white cardstock and cut three squares from it using the SSS Stitched Squares dies. I then stamped the sentiment on to the panel with black ink. I took an A2 white card base and masked off the where the square openings are to add some ink blending. I used Squeezed Lemonade and Picked Raspberry Distress Oxide inks and a blending tool to add some colour behind the windows. The window panel was then added on top with foam tape. To finish off, I added black glaze pen to their eyes to help them pop. COPIC MARKERS: Hippos - W7, W5, W3, W2, W1. Ice lolly - Y17, Y15, Y13, Y11, YR16, YR15, YR12, R27, R24, R14, E55, E53. Ice cream - E55, E53, E51, E50, R32, R30. Lemonade glass - Y02, Y00, Y000, B000. Umbrella - R27, R24, R14. Straw - R32, R30. 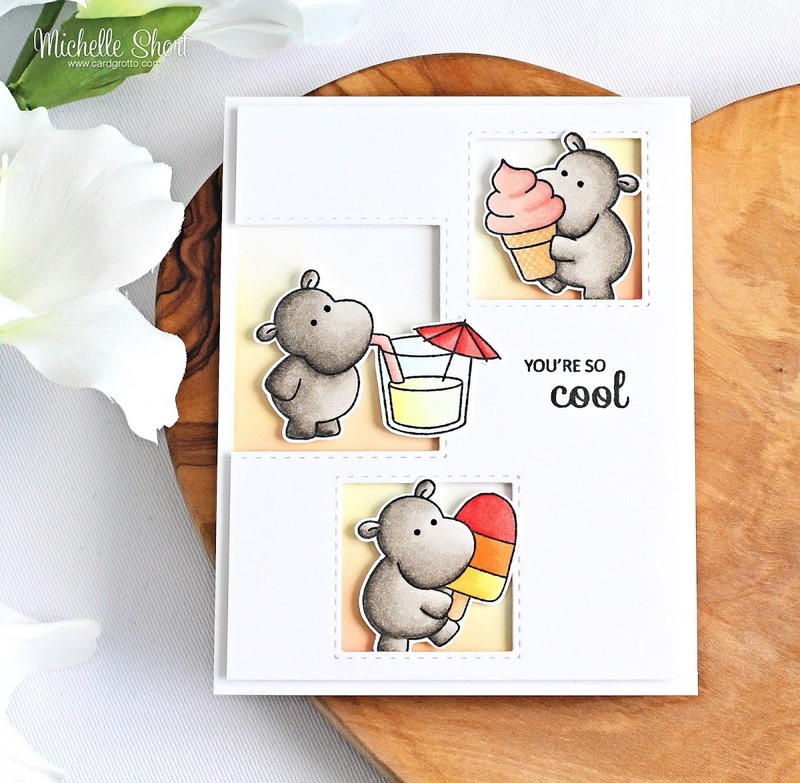 How adorable are these hippos? I love them! For more inspiration using the new release, please do head over to my teamies Stephanie, Lisa and Keren. We also have two fabulous guest designers this month - Anita and Lisa. Thanks so much for stopping by today, see you tomorrow for day two. Have a great day! Oh Michelle! Utterly utterly gorgeous! I love your warm colour choices for the hippos, accessories and background. This card is an absolute treasure! Love the way each hippo is in their own frame. The inked backgrounds are the perfect match! Just gorgeous! So cute! Love the hippos!